In a mixing bowl, stir together the donut mix, 1/3 cup apple cider, and softened butter until fully incorporated. 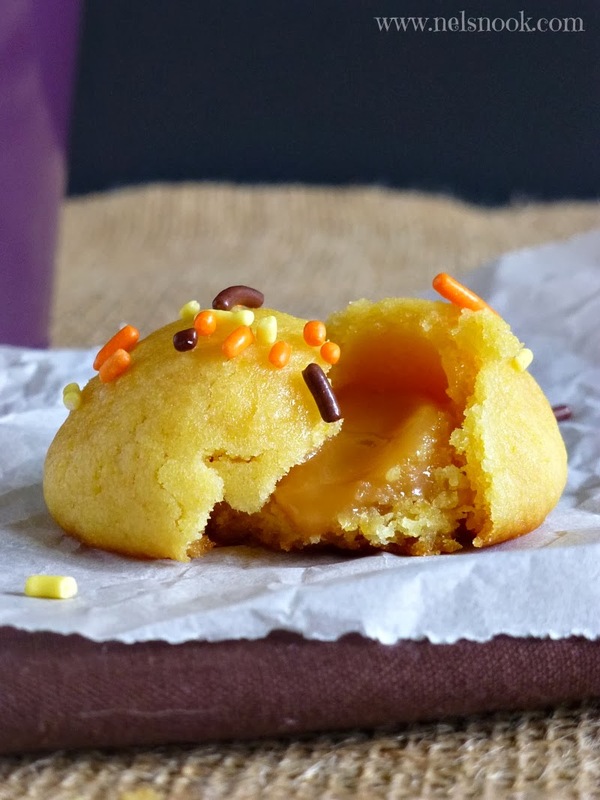 Using about a teaspoon of dough, roll the dough into tightly rolled balls around a half of a caramel. Bake on prepared baking sheet for 10-12 minutes. Let the donuts cool another 5 minutes before serving. 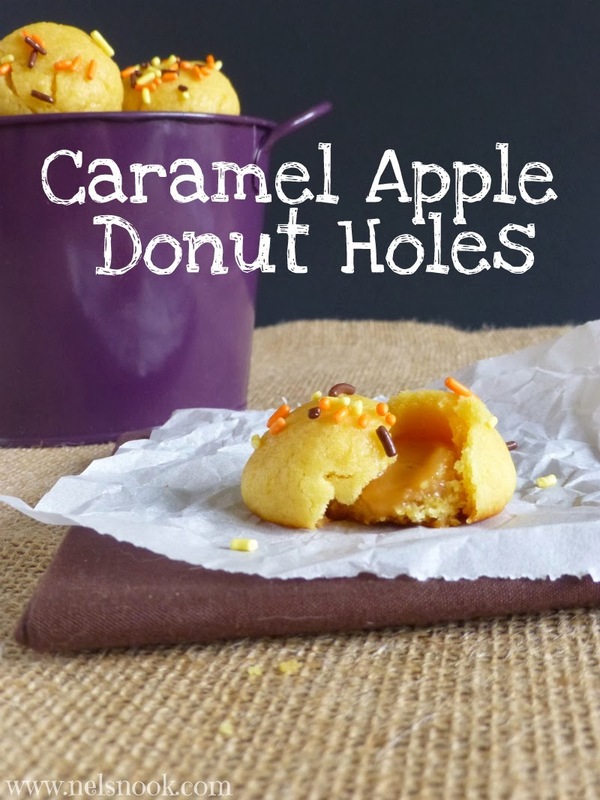 These need to be served warm in order for the caramel to be melty but make sure you let them cool down a little so that the caramel doesn't burn you! They can be stored in an airtight container just make sure you warm them back up to serve. What's one of your favorite childhood treats?? All I've got to say is this all looks fabulous! The blog, the links and the recipe! I'm so proud of you! (and a wee bit jealous!) Great job friend! Kim you are too sweet! Thank you very much for your kind words and I am so glad you like it! Yum! I'm so hungry and this recipe is not helping me!! lol.